THE END OF THE NEW BEGINNING! The Chairwoman of the massive CDI corporation will stop at nothing to get back her runaway daughter, Velocity. 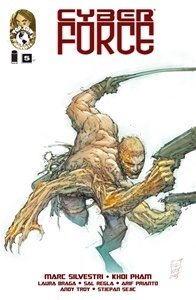 In her rampage, she has ordered the execution of every member of the rogue Cyber Force faction who stands in her way. But Velocity has turned and, faced to confront her mother, she doesn't know what's worse - being annihilated alongside her compatriots, or having her memory wiped clean with a brain box implant. 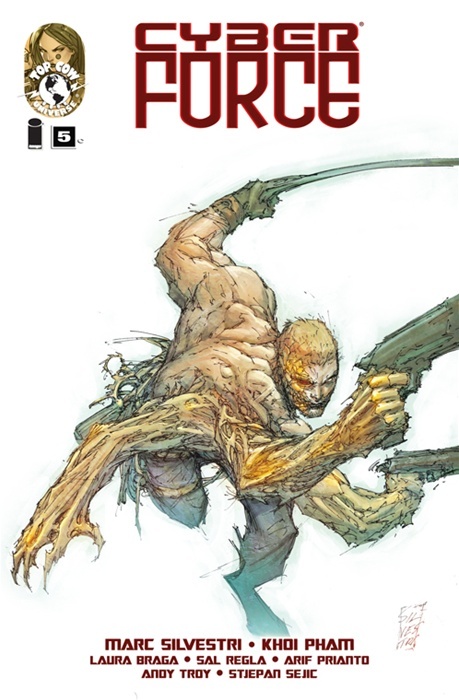 If you haven't already joined the party, don't miss the fifth issue of Top Cow's 20th Anniversary relaunch of CYBER FORCE to be distributed for FREE!